Sweet Pea’s kindergarten teacher had some great ideas for Halloween last year. I admittedly am not that into Halloween, so to search out ideas for this particular upcoming holiday has not been high on my to-do list, but has been requested by the boys. So this year, I have a couple of things in mind. Simple things where they can get their hands dirty! This first idea is a fun edible kid project (or adult project!) and requires only a few items you can buy in your local grocery store. We had a very short, fun lesson on spiders. The kids seemed to know how many legs they have, how many eyes, etc. Mostly we just talked about them and what it might be like to be a spider, spin a web and we talked about what they eat. 1. Take the Oreo cookie and the dull knife with a good dip of frosting on it. Spread the frosting onto the cookie. 3. Press google eyes onto the top! 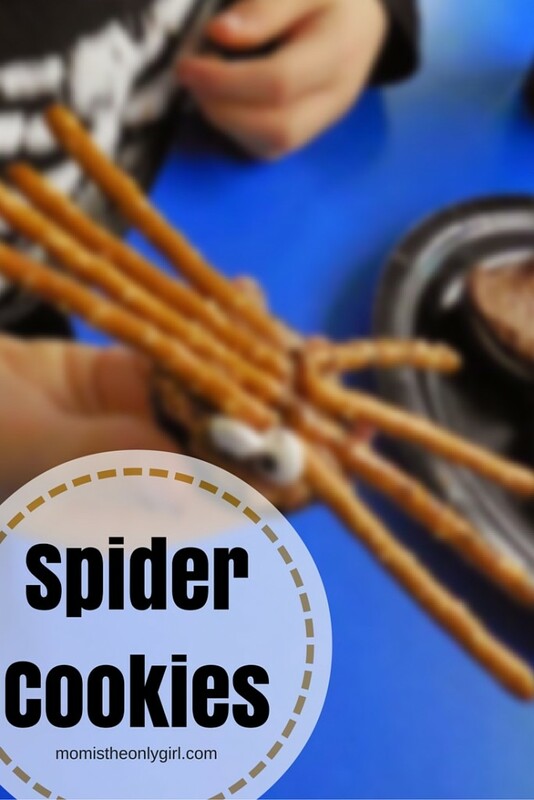 Finally, admire your spider…and eat up your spider cookie before it crawls back to it’s web! 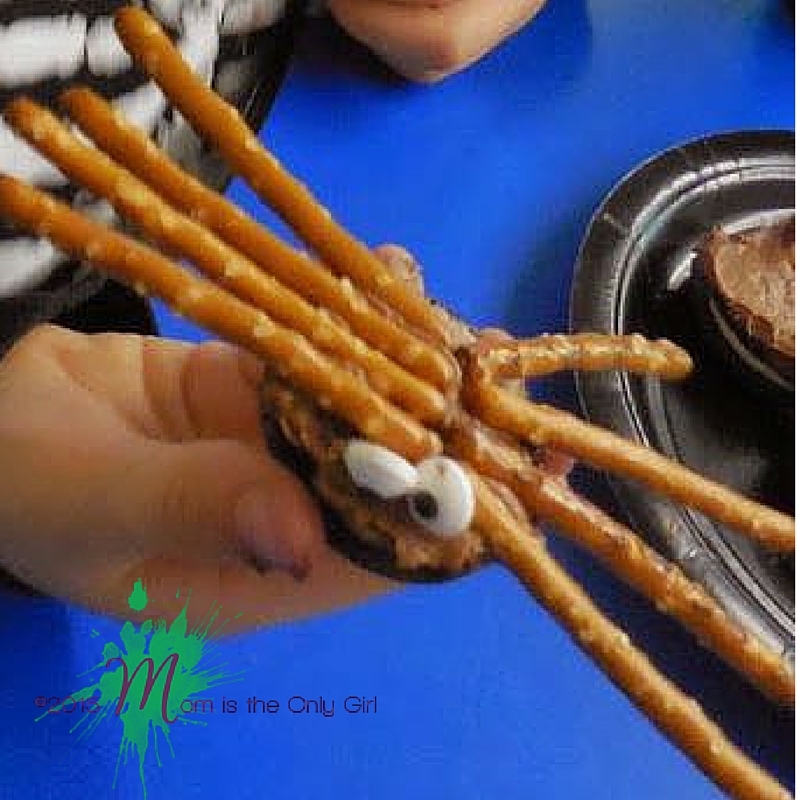 Admittedly this isn’t the healthiest Halloween snack, but it is fun and gets the kiddos developing their fine motor skills! *Remember if you are in a no-peanut zone use something other than peanut butter.